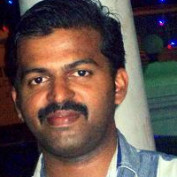 I am Praveen P.V. Nair. I am a Master Graduate in Business Administration. I am interested in excavation of new and easier techniques to be used in our everyday life to make everyones life easier and happy.n I always tries to reach consensus in groups. Is open, talkative, and enthusiastic. Has a structured approach to work and focuses on small details. Appreciates art and might be pessimistic. Avoids routines and enjoys challenging creative tasks.